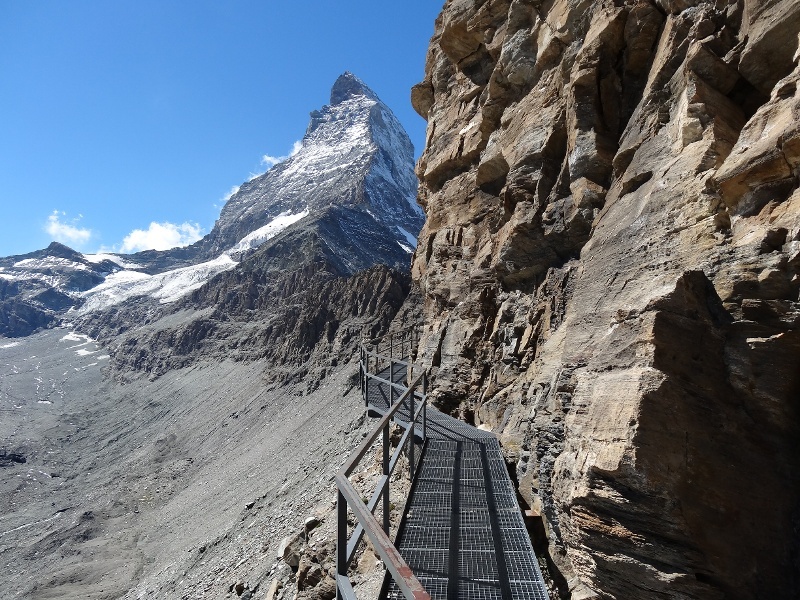 Anyone visiting Zermatt should take this path at least once. 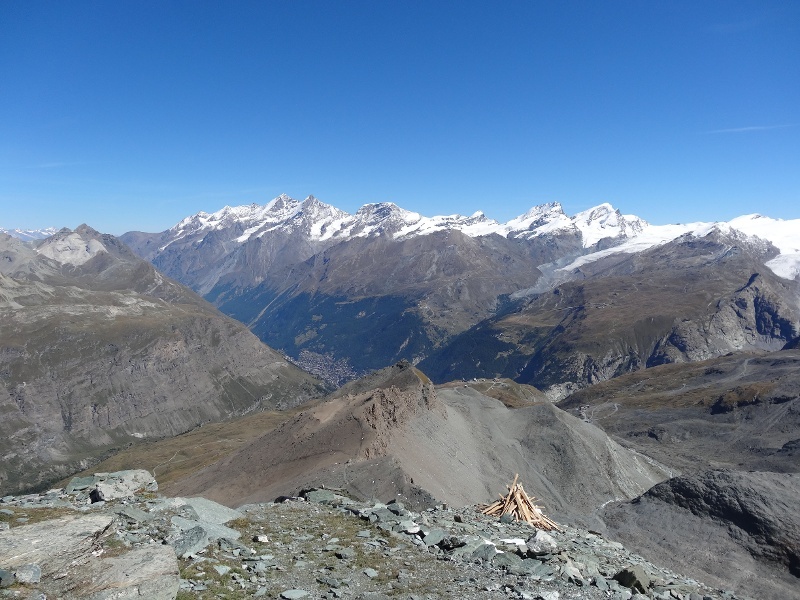 It was here that the first climbers to conquer the Matterhorn set off for their ascent on 14 July 1865. 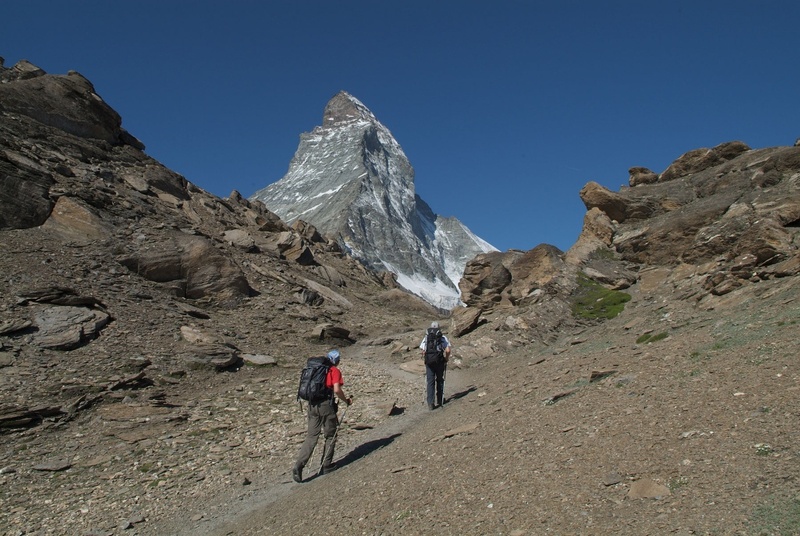 Of the seven mountaineers, only three returned to the village of Zermatt, including the British climber Edward Whymper. 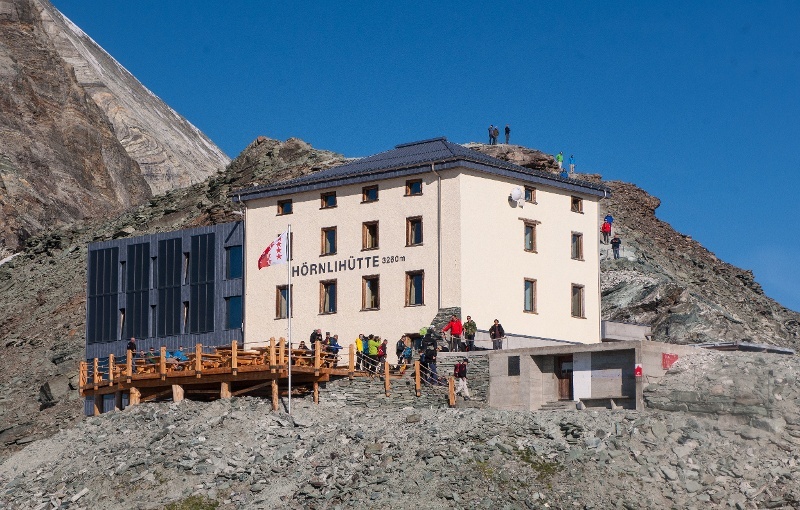 At the Hörnli hut, visitors can really feel, touch and experience the Matterhorn, which towers majestically above the building. The climbing route leads from here via the Hörnligrat ridge up to the summit. From the hut’s terrace, visitors can watch the mountaineers (binoculars required) beginning their ascent before dawn, equipped with head torches. It’s fascinating to watch. Is it a smooth climb? Have they reached the Solvay hut (4,003 m) yet? Are they managing to scale the “shoulder”? How quickly will they reach the summit? The trail features open-grilled metal walkways suspended over the void; this can prove a challenge for those who do not have a good head for heights. The path is exposed in places.